Bits and blobs of leftover snow clung to branches. There hadn’t been much… less than an inch… but the temperature hovered near zero (celsius) most of the week so it was slow to melt. Then, just as the last trace disappeared from barren branches, the sky sprinkled fine snow and dusted everything fresh white again. 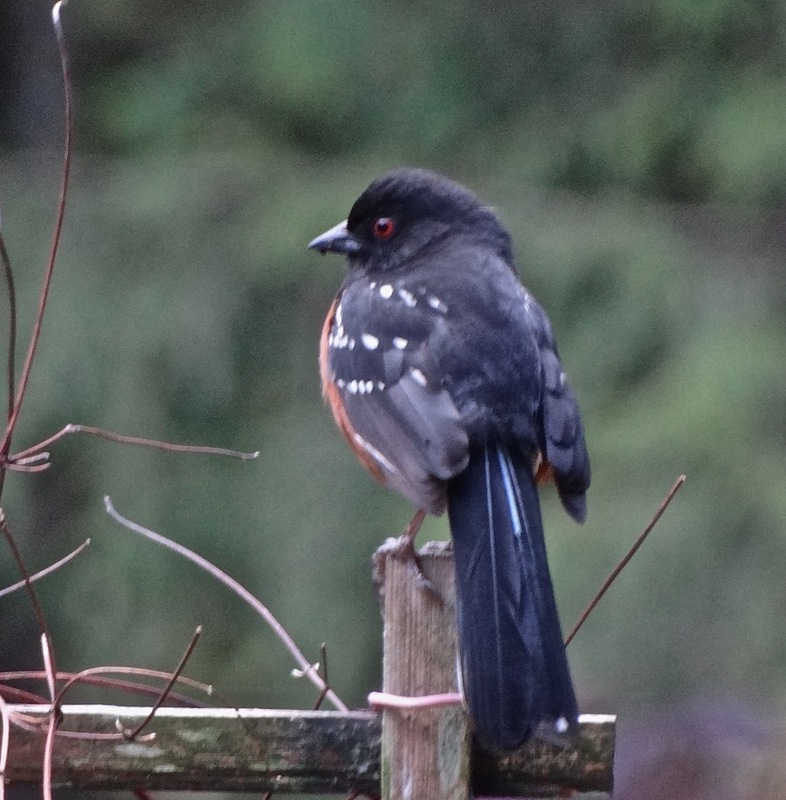 The winter’s first brief visit from a Spotted Towhee completed my day. A flick of his tail and he was gone again, but the fleeting gift left me smiling.